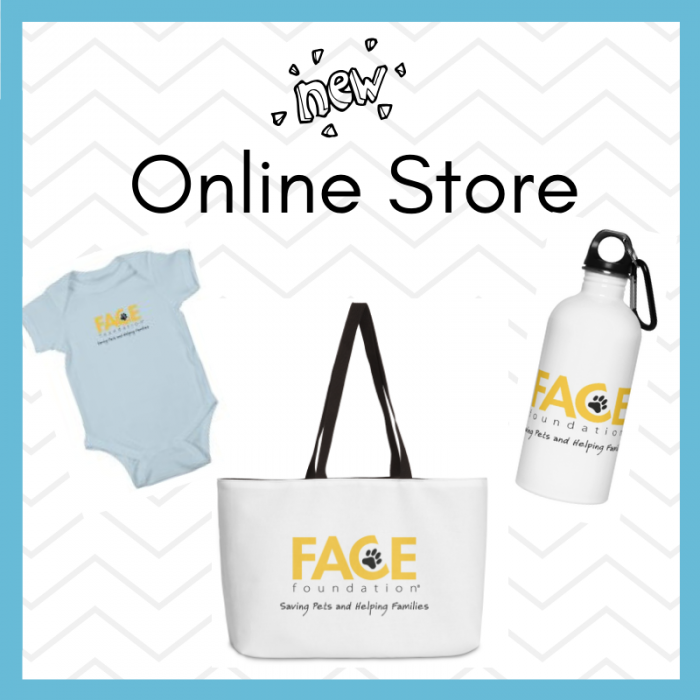 FACE is proud to present our brand new store featuring accessories like phone cases and water bottles, notebooks and stickers, and apparel for men, women, kids, and even toddlers! Through our partnership with Threadless, there are no direct costs to FACE to run this store. 35-45% of sales go back to FACE Foundation and our work to save the lives of pets in our community.